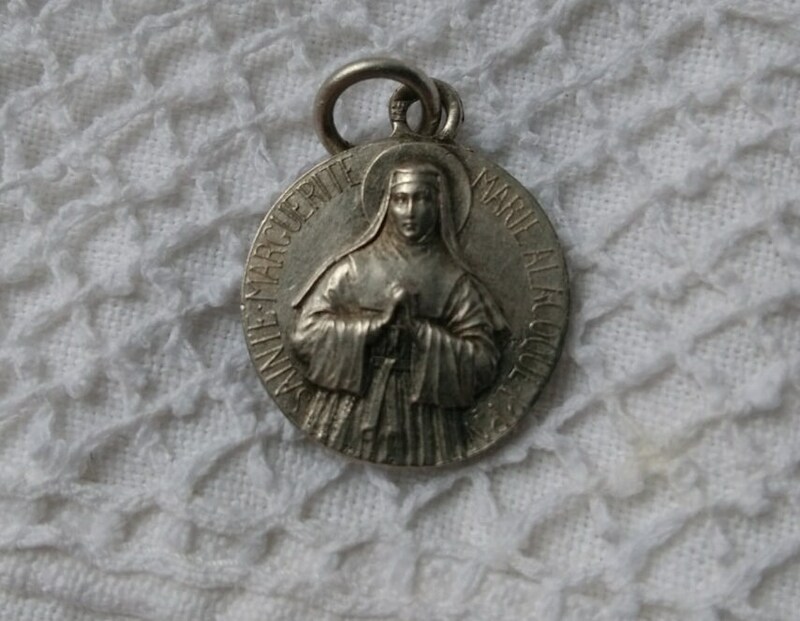 Antique French medal souvenir of 17th Saint Margaret Alacoque Sacred Heart of Jesus Apparitions in Paray le Monial French Burgundy. 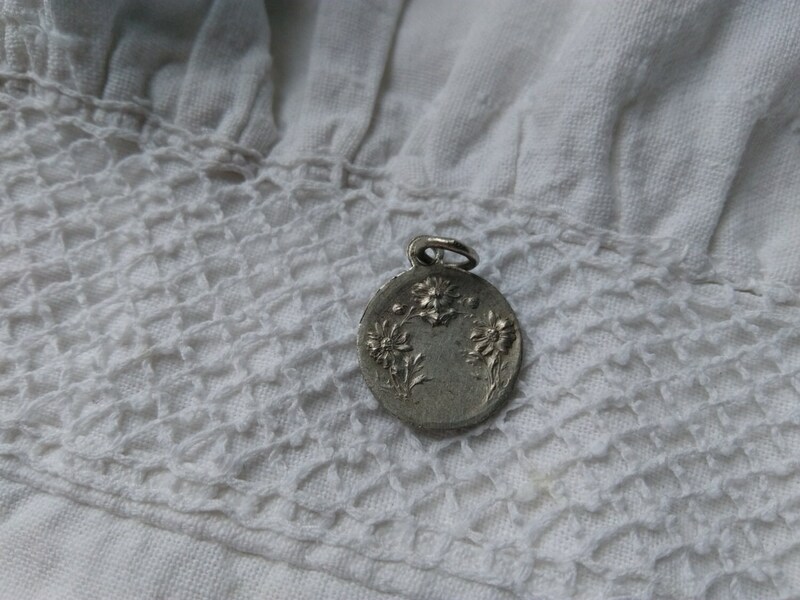 Silver Medal marked. 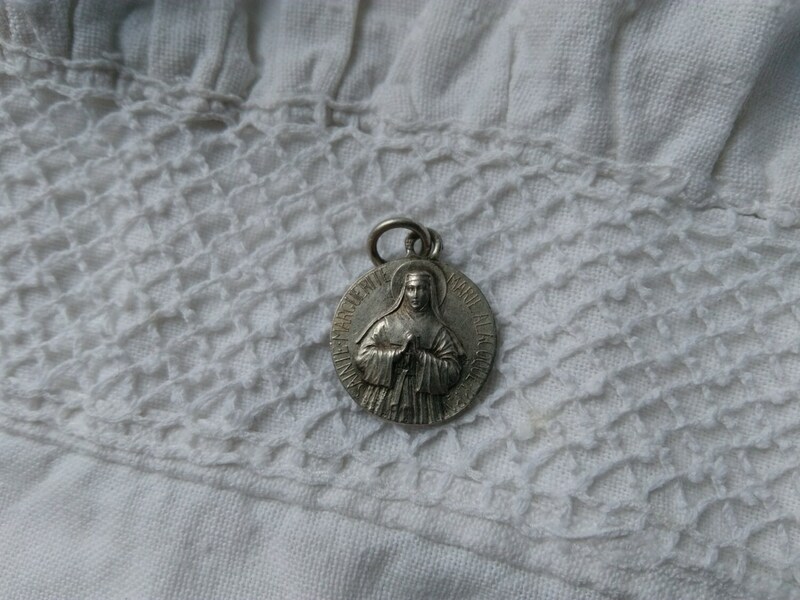 French scriptures :" Sainte Marguerite Marie Alacoque PPN (priez pour nous)" = "Saint Margaret Marie Pray For Us"
Gorgeous Noun Daisy flowered reverse. 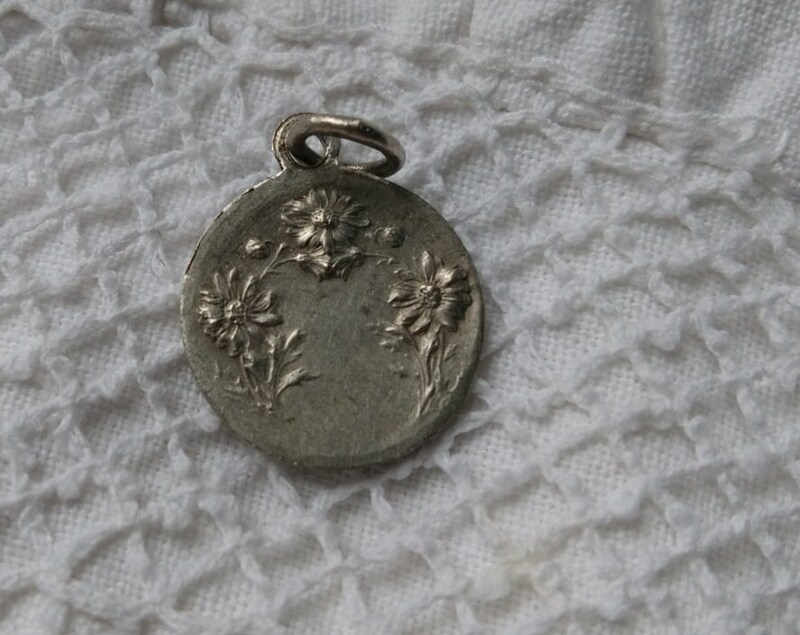 Size : 0.6 in. = 1.6 Weight 2 g = 0.06 oz. 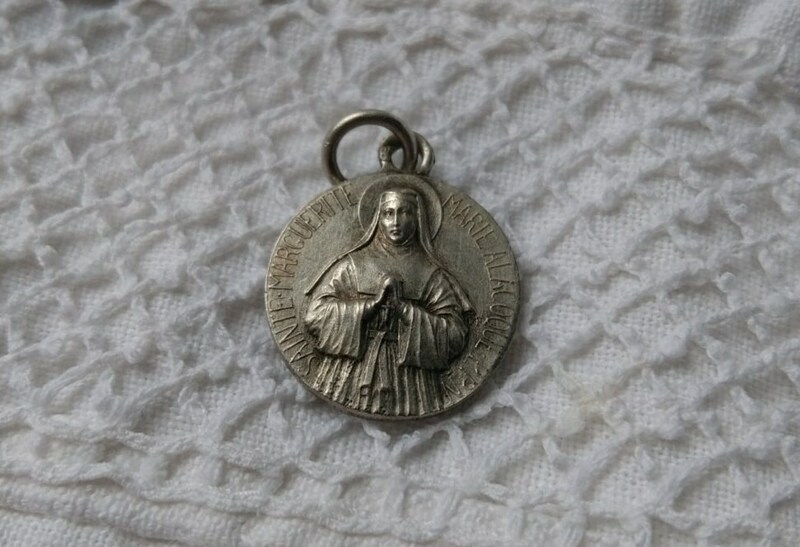 Beautiful Antique Holy French Souvenir medal.